Within minutes of receiving their orders, top-ranked agents, Megan and Marcus Morgan, who work for the secret organisation known as EP, are embarking on their second thrilling mission to solve an environment-related beach mystery. Their incredible beach hut, Parry, magically transports them from their holiday at Bexhill-On-Sea in East Sussex to the faraway tropical paradise of Hanauma Bay in Hawaii. Setting to work quickly, Megan and Marcus soon discover that rubbish is mysteriously mounting in the bay, threatening to destroy the reef and marine life within days. When the dangerous investigation starts to go wrong, the children find themselves held as captives by ruthless criminals in a camouflaged rubbish dump. It seems that Megan and Marcus are destined for destruction – but can they escape and save Hanauma Bay – or will this beautiful beach paradise be gone forever? Secret agents everywhere are invited to step inside the amazing Bexhill-On-Sea beach hut of The Paradise Beach Mysteries and join Marcus and Megan Morgan, as they travel at the speed of light to far-away top-rated world beaches, in a quest to save them from environmental ruin. 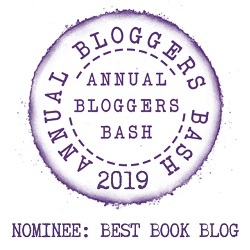 Last July I reviewed the first book in The Paradise Beach Mysteries Series, Whitehaven Beach. The series follows Sibling’s Megan and Marcus, who are secret agents working for ‘The Environmental Protection of World Beaches’ (EP). They travel to different beaches around the world when their help is needed, travelling by Parry – a beach hut (I suppose a bit like the TARDIS, just not as big in the inside). 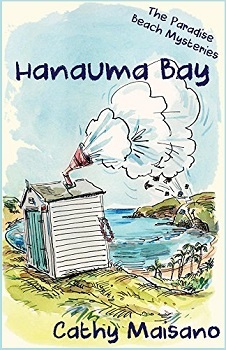 In book two, the children have been sent to Hanauma Bay in Hawaii, where there is lots and lots of litter mysteriously turning up on the beach and in the water. The rubbish needs to be removed or the fish and the Coral will be destroyed, but as fast as the rubbish is cleared more arrives. When it starts spilling out of the lockers, the children know that they have got a saboteur to deal with, especially when some of the items have ‘Die, Hanauma Bay!’ written on them. But why would someone want to destroy one of the nicest beaches in the world? As this was the second book in the series and I had already read the first I was fully aware what the children did, how they travelled to these far away beaches and just how clever they were. However, there wasn’t anything in this book that would make it hard to read as a standalone. The story is quite short and the plot exceptionally interesting. I like that the author fills her books with as much factual information as she can without compromising the plot. Those that are not included have been written at the end. If I’m totally honest, I don’t really know much about beaches around the world, so this was the first time I’d heard of Hanauma Bay and had to Google it and see what it looked like for myself. It is gorgeous, I can see why it is protected and people have to pay to go on it. Ms .Maisano knows how to write a fantastic, gripping children’s story, my only concern with this series is exactly what I wrote in my review of book one. The books need illustrations. Whilst it has a great story, illustrations are key to a child’s imagination, and with so many beautiful descriptions of corals, fish and turtles, these could of all been included to give this book that added oomph. I mean just how beautiful would the image above of been if it was illustrated? Cathy Maisano is a cultural researcher who spends her time learning about different places and people. As a child growing up in Australia, her back gate opened directly on to a beach lined with different coloured beach huts and she spent many happy hours playing among them and choosing her favourite one. Nowadays, having travelled to many beaches around the world on research projects, Cathy has an expert knowledge of their differences and the environmental problems facing so many of them. Currently, Cathy lives almost quite literally right on a beach in Sydney, Australia with her husband and children.